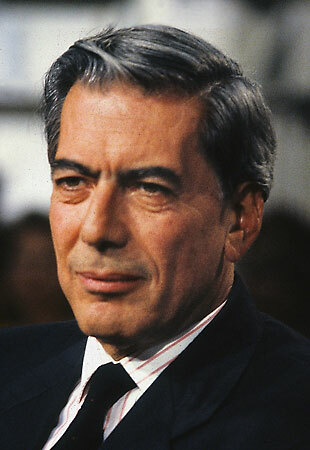 We’re thrilled to celebrate with Peruvian Mario Vargas Llosa as he receives this year’s Nobel Prize in Literature. While, to be candid, none of us had heard of him before the prize was announced, we’ve relished learning about his literary progression and political advocacy. We tip our hats to the men and women of Peru and hope that this award accentuates the work of other Latin American authors. Vargas Llosa's Nobel recognizes the trajectory of Latin America as well as that of one of its most elegantly powerful writers: today the region's future belongs to those building functioning institutions more than to those seeking dramatic revolutions.